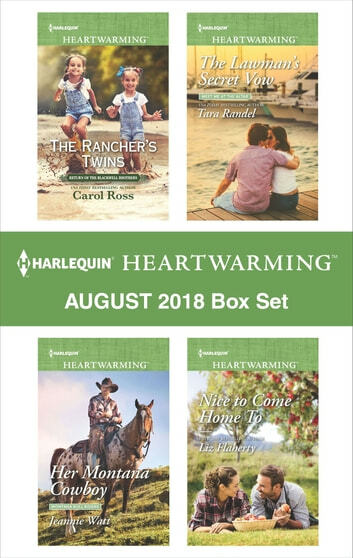 Lydia Newbury is not the experienced “country nanny” rancher Jon Blackwell thinks he’s hired to wrangle his out-of-control twins. Lydia’s desperate to keep her secrets, even as she’s falling for her boss. Gus Hawkins is suspicious when Lillie Jean Hardaway shows up at his uncle’s ranch claiming to be half owner. But how can Gus make plans for the ranch when all he can think about is Lillie Jean? Dante Matthews and Eloise Archer, two police detectives vying for the same promotion, go undercover as a married couple to solve their latest case. Attraction quickly sparks to complicate matters—or was it what they were hoping for? Returning to Lake Miniagua after inheriting half her aunt’s orchard is bittersweet for Cass Gentry. But meeting—and butting heads with—her new business partner, Luke Rossiter, makes going home again feel right somehow.